Price only Rp 48 million, can take home. That in terms of price. Not in terms of technology. 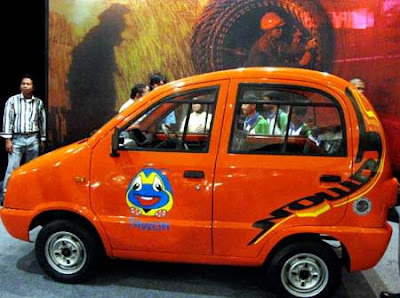 Tawon, already meet the Euro III emission standards, because of gas CNG fuel, so that is definitely environmentally friendly,Not only Tata Nano, Tawon can enhanced features, such as power steering, AC and the framework of the dashboard.With the belief that high, and can be ascertained, if the development continues to run, the quality of mobnas we will not be left behind from other products overseas. 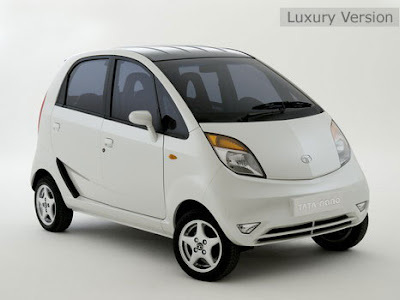 Maybe my friends have heard about this world's cheapest car. 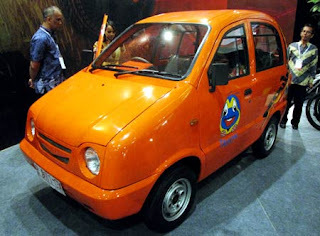 This car is a car that came India's home which was created by a company Tata Corps. Carry the two-cylinder inline engine MPFI, the single injector, 623cc, ALL Aluminum rear engine position (such as the VW beetle) make cars without AC was able to penetrate 1liter 20km for petrol in the middle of town and 50km to 1liter TOLL road. Because of the small engine, the car only need two valves per cylinder. When viewed from the engine capacity, these cars are similar to Subaru R2. But if the issue price, is far different. R2 dibanderol approximately USD 155jtan. 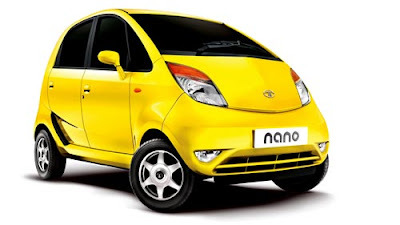 While in his native country at the official price of Nano is only about 20jtan. But because of customs prices for luxury goods is expensive, around 300%. Means, when it came to Indonesia could be around 60jtan. Oh yes, there is little extra. 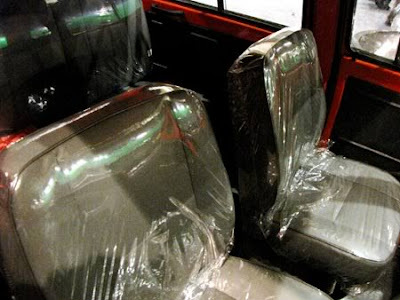 These cars can already meet the standard Euro4. saya suka mobil tata nano.....karena dgn hrga yg begitu murah akan membuat rakyat indonesia bisa memiliki mbil tsb terutama kalangan menengah ke bawah....tp di pkr2 gmn macetnya jalanan yaaa kl smua orng pada naik mobil,heeeheeeheee......repoooot.